How Do CFO Services Help Your Small Business? Accounting services not only save valuable time, freeing you to do the tasks that you find most rewarding, but they also allow you access to a professional who can find and fix financial problems before they get out of hand. In particular, CFO services are especially useful because they provide timely insight so that companies can make positive changes. This is not to say that a CFO can completely save a dying business. Or that you can’t succeed without one. But, what we are saying is that your business can be more successful and profitable if you have a better strategy for spending and saving your resources. Let’s take a look at the benefits of CFO services and the guidelines for choosing a partner. Notwithstanding, there’s still a perception in the small business community that large companies are the only ones who can afford a CFO to help them analyze finances and manage risk. While it’s true that retaining an employee to accomplish these tasks as CFO comes at a high cost, usually six figures, CFO services offer the perfect solution for a small business. Indeed, the companies that are going to benefit the most from these services are small to mid-sized businesses who can’t engage a full-time CFO due to budgetary and other constraints of a growing business. For these businesses, CFO services like those offered by an outsourced accounting firm provides them with all the benefits of an in-house CFO but at a fraction of the cost. Working with a professional accountant to build a cash flow model to predict future cash positions of your business is vital so that you can understand how your decisions today will change the course of your business in 30 to 60 days. At Ignite Spot, when we do a cash flow forecast for your company, we will review all of the variables that affect your cash in and cash out positions. The template we create for your business will be custom built to you and your needs. Once it's created, we can update it and meet with you each week or month depending on your needs. There’s a good chance that you have already created some form of a business budget, perhaps at the beginning of the year. But are you confident that your budget fully addresses all the goals and needs of your company? And if it does, how closely are you following it? This is where CFO services will come in extremely handy to build, manage and maintain your budget against your actual results. In short, budget-to-actual analysis helps small businesses know whether they are on track financially so they can make adjustments in a proactive way. And get to the destination of profitable a lot quicker. We talk about break-even points and break-even analysis a lot at Ignite Spot because it’s one of the most important metrics for small business owners to understand. In a nutshell, break-even analysis tells small business owners how much money they need to make in order to keep the doors open after operating expenses like leases, equipment, vehicle expenses, employee costs and more. The insight that comes from an analysis of your cost structure, gross margin and overhead requirements will help you prepare for a more profitable future. But you don’t have to go it alone, CFO services not only help you to calculate the numbers but also show you how to lower your break-even point so you can reach your goals faster. For more information on how to calculate your break-even point, see this post. Are you confident that your current hiring plan makes financial sense for your organization? Labor cost management helps you to understand the full-burden cost of staff so you can make more informed hiring decisions. This analysis includes how much of the budget is consumed by overtime and whether the business is on target to achieve predetermined goals. With the help of an accounting professional, you’ll know exactly when to hire and how much you can afford to pay. An analysis of your current staff and the full-burden cost of each employee. A report showing hiring budgets and staff to revenue performance. Weekly or monthly coaching calls to help you make great hiring decisions. A variable vs. fixed expenses analysis goes beyond producing a company-wide expense report that breaks your costs out into two buckets. It also focuses on cost management -- making sure your fixed or variable costs don’t slowly get out of control without you realizing it. CFO services will not only alert you to cost creep but importantly will help you identify ways to overcome it. At Ignite Spot, you are provided with an analysis of your current cost profile, vendors and strategy. Then, we offer weekly or monthly coaching calls to show you how to control costs and plan for growth. The sooner you can pay off business debt and start building the wealth, the more confident you will be about the future of your company. With business debt planning, you’ll receive an analysis of your debt, creditors, and payment plans but also a customized plan to pay off your debt sooner than you might have imagined. Plain and simple: Partnering with an accounting firm for CFO services saves your business money in more ways than one. With these high level services you won’t have to make room in the budget for an executive salary or worry about employment taxes and benefits for an in-house accounting professional. Outside of this, remember that CFO services will provide insight on how to reduce the overall costs associated with running your business. All in all, with CFO services you can put your small business on the path to maximizing profits, without breaking the bank. If you’re a small business owner then you already know that time is your most precious resource. Yet there never seems to be enough of it. If you don’t have a CFO to help with business critical tasks like reporting, budgeting, forecasting goals and strategizing for future growth, you’re likely taking on the responsibility yourself. And if you’re not an accountant, these tasks probably take you more time than would otherwise be required to complete. But with flexible CFO services, you can spend less time trying to put together a financial plan that works for your business and more time actually executing it. A CFO adds a layer of protection between the CEO and the rest of the executive management that stands as an objective check and balance to reduce that risk. In addition, CFOs mitigate risk by helping small business owners make sound financing and purchasing decisions. CFOs help small business owners and executive managers by jumping in to take on the financial workload in large projects. They offer expert level skill and assistance with planning strategy and implementation of projects as they occur. In addition to handling projects, you can expect your CFO to offer completely objective financial advice that can give executive management new perspective on overall business strategy. A number of accounting firms, executive outsourcing firms and placement services companies offer some form of CFO consulting. But how do you know which company is going to be the best fit for you? Here are seven key factors to look for in a CFO services partner. First and foremost, you should look for a firm that has financial experience and expertise with businesses similar to yours. When researching firms, consider the number of years they have been in business. In addition, be sure to ask questions about what kinds of experiences they have had with clients in your industry. Checking online ratings is often a good place to start when it comes to reviewing the reputation of a potential CFO partner. By doing this level of research, you can get answers to the following questions: Are their best clients similar to your business? And how profitable are they? You might also be able to find this information on their client testimonial page. If they do not have any client stories, this might also shed light on their level of experience or lack thereof. Communication is one of the major determining factors on how satisfied you will be with your CFO services partner. What’s the preferred method of communication? What are their regular business hours? Will I always be speaking with the same person? Do they offer after-hours support? How often can I expect reporting from my CFO partner? How often will we have meetings? In addition to asking questions about the timing of reports, make sure you know and understand the types of reports your CFO services provider plans to offer ahead of time. With CFO services, you get to choose the scope of work that will help you to achieve your business objectives. At Ignite Spot, we work with you to craft a monthly fee that fits your budget and your needs. When we create a package with you, our goal is to save you 40% or more over hiring an in-house accountant. When picking an outsourced financial services provider, be sure to ask questions about how your data is stored and disposed of, what programs they use and how they ensure overall security of financial information. If you’ve shortlisted a few companies based on the above specifications, analyze the cost of services versus the total savings you expect to receive. This will give you an idea as to which of the companies you are considering offer the best fit for your budget. In our experience, we have provided hundreds of small business owners and executive management with actionable steps they can take to maximize profits. Learn the biggest secret to getting profitable and how to implement it in your 30 minute call. Get two coaching tools absolutely free. Work with the Ignite Spot coach to customize our tools to your business. 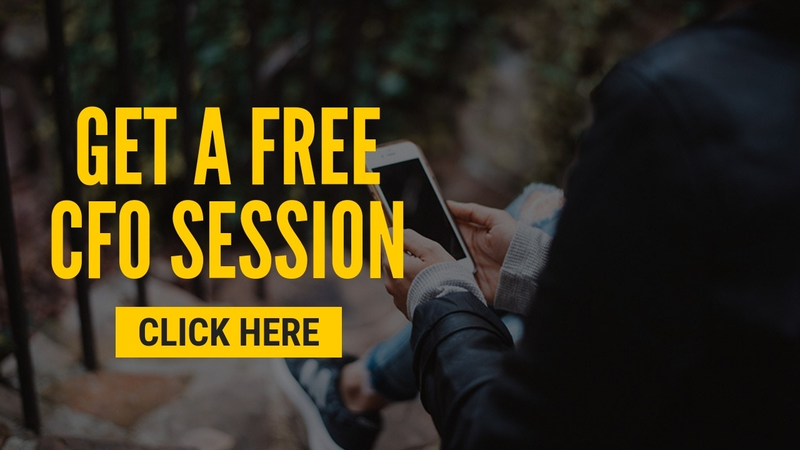 Simply click below to schedule your free CFO session and see how Ignite Spot can help your small business make more money.